water that may be inadvertently wasted within homes. homes, with the average residence losing 10,000 gallons a year this way. 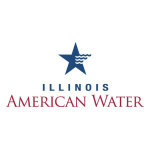 Illinois American Water, are hoping to significantly reduce that amount. Water Quality and Environmental Compliance for Illinois American Water. under Water information and Wise Water Use.